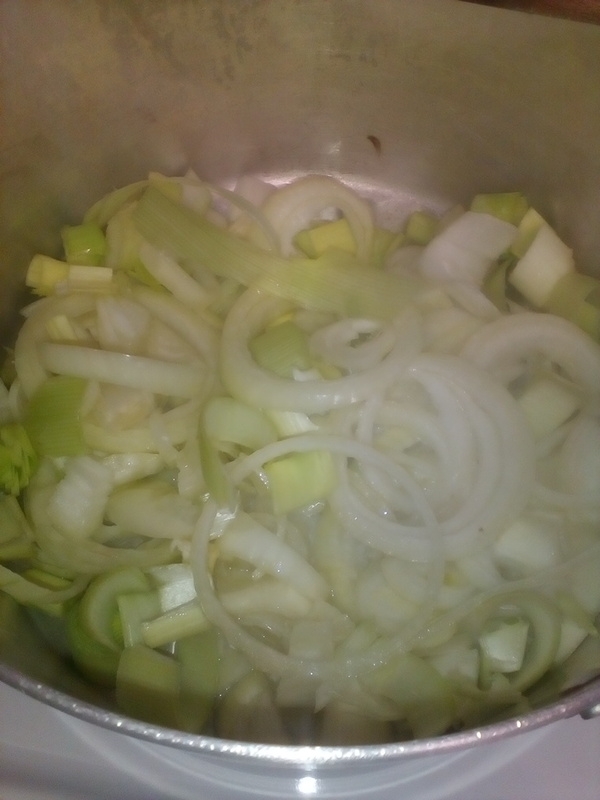 Today has been a bit of an onion day both in an allotment sense and in a culinary sense. 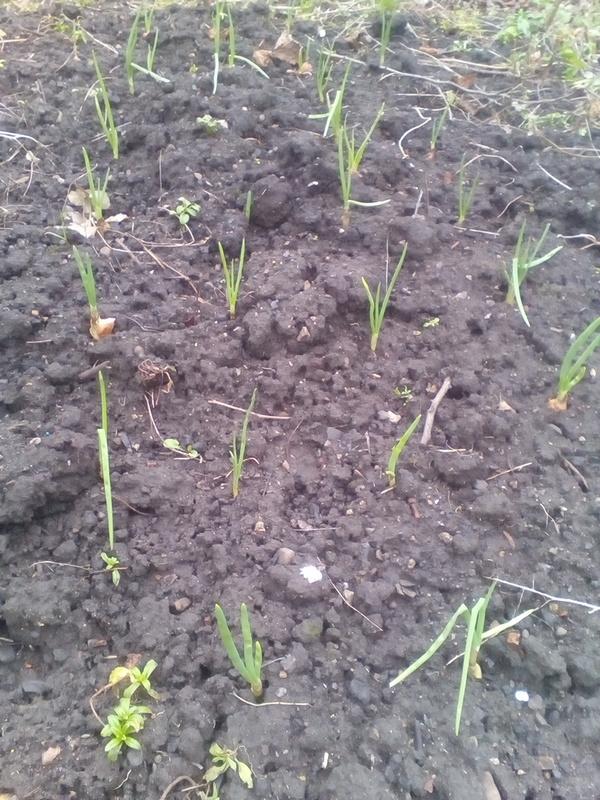 Firstly a trip to the allotment to see how the overwintering onions and garlic are getting on. 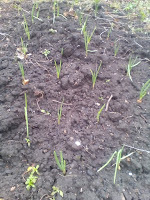 Found, as usual, that the blackbird has probably pulled one up thinking it was a worm, so replaced that in the ground. Overwintering these 'Japanese' onions - grown from sets - means that by the end of June we will have onions ready to pick, store and cook from the allotment. 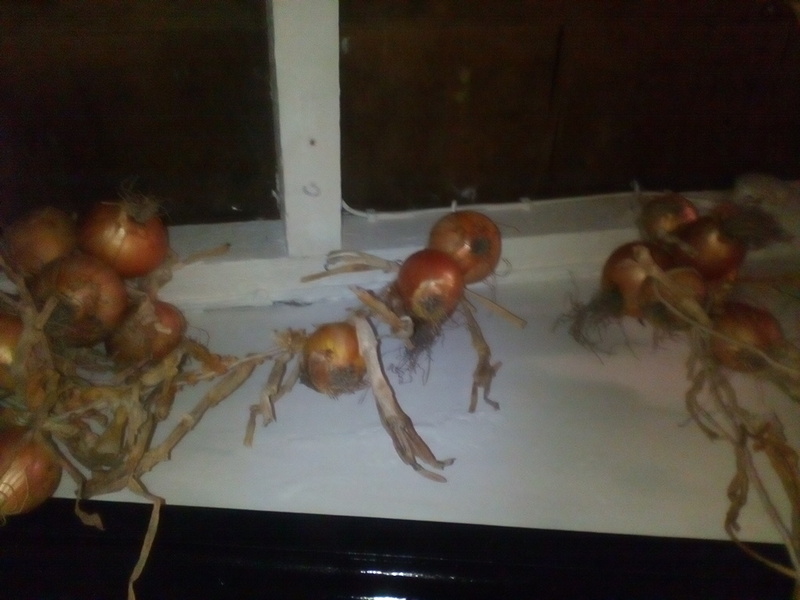 These onions are the main crop from last summer that are still storing well in our utility room, though occasionally the strings slip and the door catches on them! It is a single glazed room so it doesn't get that warm which is ideal for long term storage, in fact we used to have potatoes and apples in here until we needed one end of the room converting for a downstairs toilet. 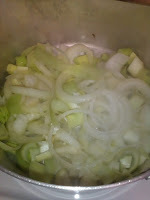 Today we had cottage pie, and homegrown leeks and onions went into this. Also added were carrots (still going strong in the tyre stacks at the allotment) and a homegrown parsnip diced up and boiled with the carrots.